The Margaret River region is one of the greatest holiday destinations of the world, with tourist attractions including world-class wineries and restaurants, whale watching tours, nature walk trails, caves and some of Australia’s best surf and beaches. 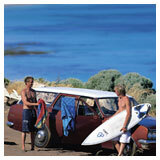 Information about the region’s diverse attractions and tours is available from the Augusta-Margaret River Tourist Association. For your convenience Margarets Beach Resort also has a Tour Desk located at reception, where friendly staff will be more than happy to help you plan your Margaret River holiday. Some of the more popular tours (outlined below) can be booked at the same time that you reserve your accommodation at Margarets Beach Resort. Experience everything Margaret River has to offer with a range of options including full or half-day winery, gallery and brewery tours. Host Neil McLeod will introduce you to a local brewery, two fine art galleries, three local produce outlets and four Margaret River wineries – with free tastings. They offer great value that won’t blow your budget and will have you wanting to come back for more. Cancellations within 24 hours of tour date will be charged in full. A gourmet holiday treat, this daily tour takes in some of the regions finest foodie attractions, from wineries to local produce outlets, including cheese, chocolate, wine and beer tastings. A gourmet winery lunch is included, as well as wild foods experiences! 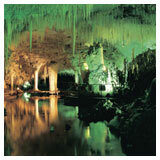 Caters for individuals, couples and groups and operates all year round. Choose full or half day winery tours suitable for beginners or connoisseurs. The full day tour takes in wine making and wine tasting and includes lunch at a leading Margaret River winery as well as an afternoon gourmet platter with chocolate and cheese tasting. 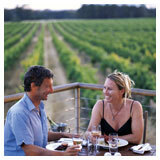 The half day tour includes visits and tastings at four wineries as well as a vineyard platter. Wine and adventure tours for people who don’t do tours. The Margaret River Discovery Tour has been rated one of the best holiday experiences in Australia and includes a guided cliff walk, gourmet winery lunch, sampling local produce and Aboriginal heritage tourist attractions, as well as wildflowers and whale watching when in season. Also on offer is the Best of the Best Wine Tour which takes in a select number of Margaret River wineries, with a special behind-the-scenes vineyard experience and unique food and wine pairing in the Cape Mentelle barrel room. 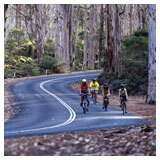 Combined with stunning coastal scenery, it’s consistently rated as the best Margaret River winery tour. The winery tour that promises fun, relaxation and information. With a range of gourmet holiday experiences to choose from, Wine for Dudes offers wine, beer, cheese, chocolate and other local foodie tourist attractions. Tours can be tailored to accommodate group requests of different sizes and regularly visit over 30 wineries and breweries in the region. Cheers will take you on a day you will be talking about for weeks, you will be visiting several vineyards, indulging in Margaret River chocolate, tasting some of the best cheeses at the Margaret River Cheese Factory, sampling kangaroo, emu and venison at the Venison Farm. You will finish your day with cleansing ale at one of the local breweries. During the day we will take you to one of Margaret River's iconic restaurants where you will get to choose from an extensive menu and enjoy a complimentary glass of wine, champagne or soft drink. We offer a day-long guided winery tour of four Margaret River premium wineries and two breweries, also visiting an olive oil and chocolate factory. This full day tour costs just $95 per person. Included are some value added extras–cheese, bottled water, a complimentary beer with lunch and a bottle of wine for one winning tour goer. 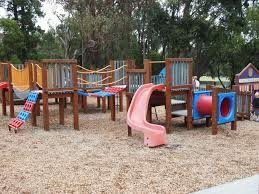 Wineries and Breweries with playgrounds for children.